A partnership has been officially formed between Mercedes-Benz Brisbane and the city’s new luxe hotel on James Street, Calile Hotel. As James Street’s newest luxury hotel, the Calile will offer its guests the chance to bask in a new level of hospitality with the S-Class experience. Mercedes-Benz will be the hotel’s official vehicle partner, with a sleek S-Class permanently parked under the arched porte-cochere of the luxury resort to showcase both the car and the hotel. The car will be used for airport collections and drop offs around town – what better way to arrive at an evening gala than in the Mercedes-Benz S-Class? The partnership is one of mutual recognition for Mercedes-Benz and the Calile Hotel, who both pride themselves on the perfect balance of traditional and contemporary design, innovation and luxury. For an experience that’s both refined and thrilling, Celebrity Cruises have revealed a unique experience for passengers sailing on their new luxury yacht, The Celebrity Flora. The experience will have passengers glamping at sea in the Galapagos Islands, surrounded by stars and nature. 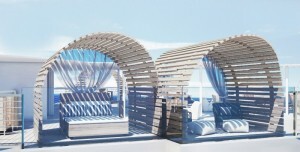 The luxury yacht features top deck cabanas by day, which convert to double beds at night. 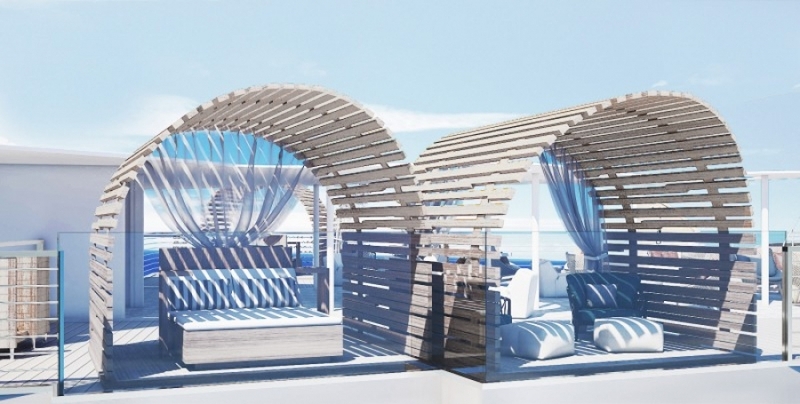 However, the experience is not for everyone on board: a maximum of four passengers can book the top deck experience, where they will have two private luxury cabanas – one for sleeping and the other for al fresco dining. After a night of gazing at the stars, passengers will be greeted with breakfast in bed and a glorious sunrise over the water. The Celebrity Flora is the first ship designed specifically for the Galapagos Islands and will be ready for service on the 26th May 2019. Guest can book both 10- and 11-day excursions or alternatively can opt for 16-day trips that voyage around both the inner loop and the outer loop of the islands. Whichever option you choose, be sure to book ahead to include the Galapagos glamping experience. For more personalised information, tips and advice, or to book these experiences, contact your local TravelManagers’ personal travel manager here.